Team O'Neil Rally School Is 25% Off! Want to be a rally driver? It just got cheaper. 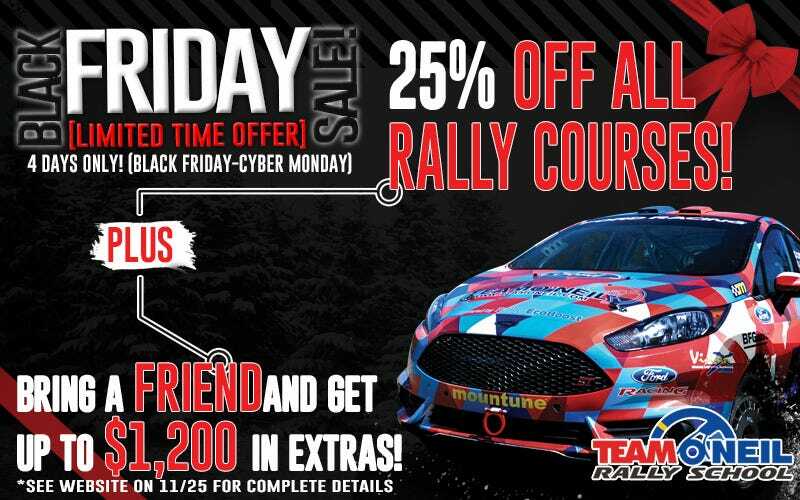 The excellent Team O'Neil Rally School up in New Hampshire went 25% off on Black Friday, running the four days through Cyber Monday. That's today, FYI. If you bring a buddy, you get over a grand of extra stuff. Check out the whole thing online right here on O'Neil's website. Because we should all be better drivers.